One of Australia's most heavily fortified bases with anti aircraft assistance during WWII. Every Sunday, The Tunnels are open for tours and meets at the Gatehouse. Guides take you through The Memorial Walk and Avenue of Honour, stopping at the Gun Emplacement No 2 and finally into The Tunnels, which takes 45 minutes. 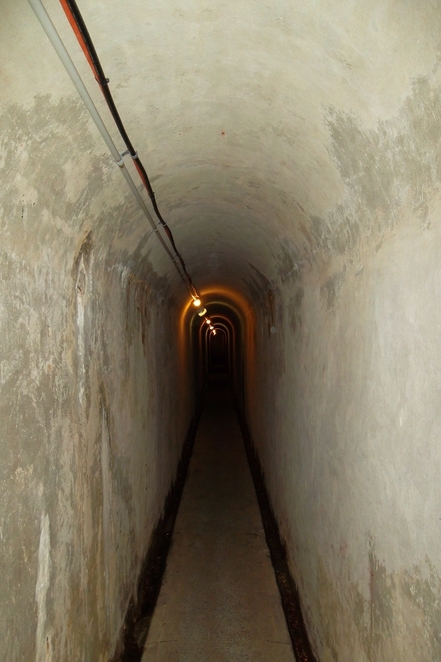 The Tunnels, were built in 1935 and 1936. 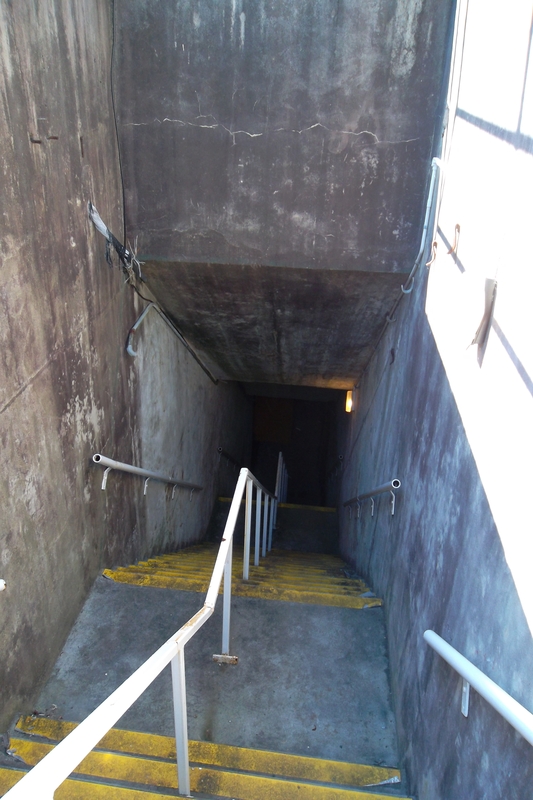 The first room you enter is The Service Shaft, where ammunition was resupplied to the shell store and magazines and shells were loaded into the shaft lift, for reloading above. There are two rooms, one room has 3 windows a single window head height for ordering. A bottom knee height window for ammunition and above is another head height window, for propellant charges for the magazines. In the co joining room, shells would be placed on a rack, and loaded into a vertical lift system to the surface to be loaded into the gun. 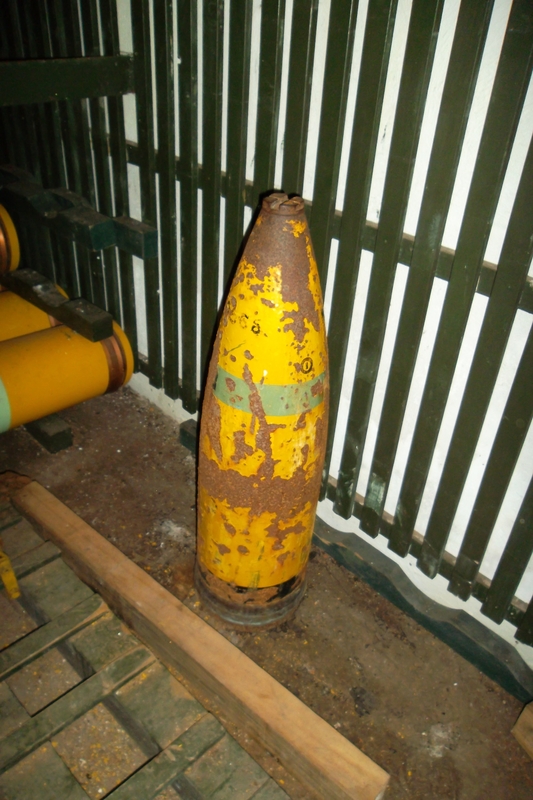 There were high explosive, amour piecing and practice shot shells. In operation from 1938 to 1952. Head along the Tunnel past the Pump Chamber; a Natural Spring runs through the tunnels and is drinkable in the tunnel gutters. 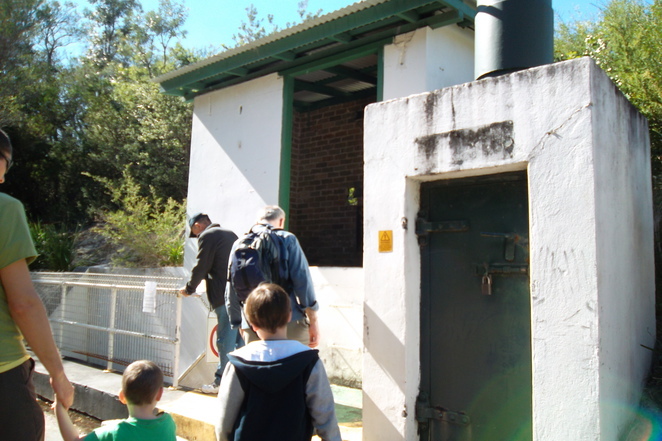 The natural spring was used to supply the Battery with water, and we learn there are 26 vents throughout the tunnel system. I could only find 1 after the tour. Visit the Casualty dressing room, right in the tunnel, with 10 recesses cut out to hold stretchers. Soldiers were brought here for treatment before transported to medical facilities. On to the Engine Room, two large engines and a telephone for communications in an enclosed corner as obviously this would have been a noisy room and power board follow along the tunnels and we have fuel tanks, to envisage the soldiers de-mantling and transporting, rebuilding all this is mind boggling and these were every day tasks for our soldiers. Then we head to the stairs and view a bullet hole in the steel door, but you will have to do the tour to find out more, before ascending the stairs and wow right back in the car park. Click here for tour prices and times. Please check under your vehicles for bandicoots, before leaving they are very active here, and are everywhere.